Here I am. Finally making use of those English GCSE's which at the time were oh-so-pointless. I feel like a creative outlet is a big hole missing in my life of final year university lectures, bar shifts and the gym. So here goes. Perhaps it would be most suiting to start with the latest events: post-exam celebrations, bride-squad meet ups and afternoon tea delights. Having (finally) completed my January University exams (last time I'll ever have to do them...yay! ), and bagged myself a night off work, a girls night was well due. And also a perfect excuse to meet up with my boyfriend's sister (bride to be) and her other bridesmaids. Italian was the food of choice - and what a winner that was, sangria and pasta-a-plenty. 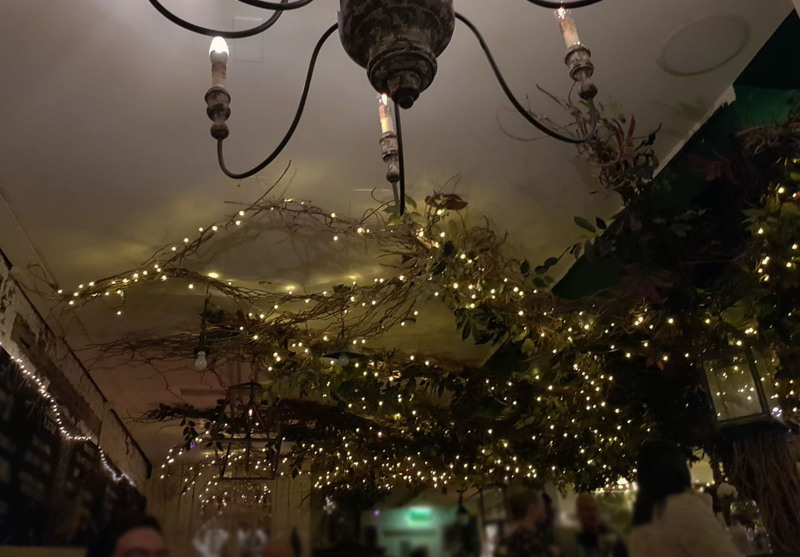 Nicely full and tipsy, we headed to a cool gin bar called 'Mimi & Gin' in Ormskirk, which would satisfy even the most experienced gin drinker's needs. 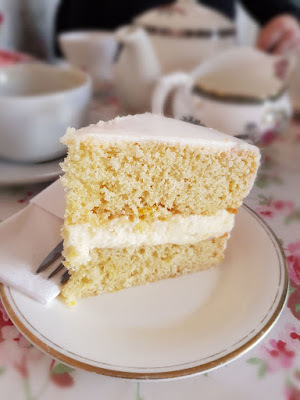 Saturday was spent hangover-recovering the nice way, enjoying afternoon tea with family in a very Cath Kidston-vibes café. Broccoli and stilton soup with doorstop bread followed by a healthy portion of lemon drizzle cake, what more can a girl want? 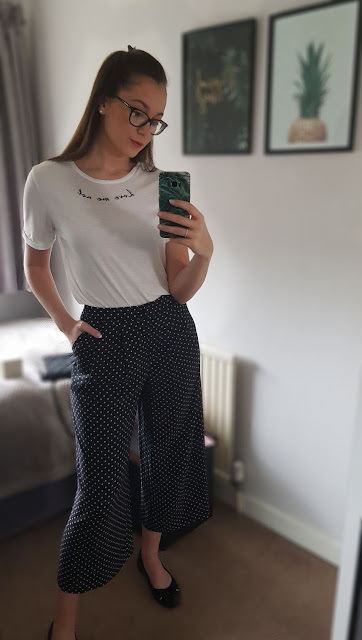 Primark at its finest - season-transferable polka dot pants that are too classic to date, for a pain-free £13, and a 'love me not' comfy white tee for less than ten pounds. Finished off with some pearls and dainty black ballet pumps, it's perfect for any day-to-day plans. Dress it up with heeled boots and some on-trend statement earrings and you're on to a winner. Stay tuned for weekly blogs on lifestyle, travel, fashion and beauty. © Follow Francesca | All rights reserved.